Khurasan Miniatures präsentieren ihre Fantasy Neuheiten auf Facebook. 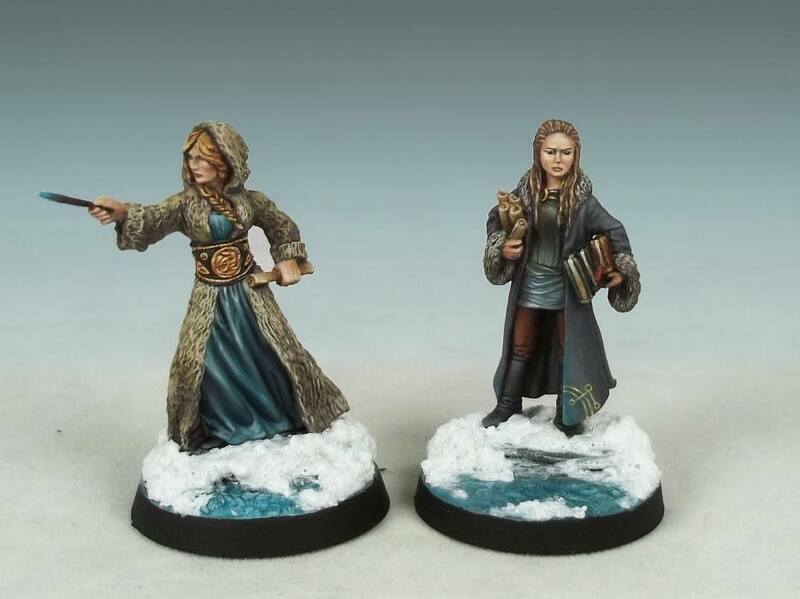 We are very pleased to release the first models in our 28mm polar fantasy adventure range, Polartrek. The first two models are the Crown Princess Adelaide and her surly teenaged booklugging apprentice, Tyleen. There’s a complete backstory and character profiles as well. We are confident that the Polartrek storyline would play out very well in any of a number of fantasy rules systems. The next release will include several different types of animals encountered on Adelaide’s polar adventure, and a huge, savage Semgall tribesman who accompanies her on her quest. Following that will be some lower level pedites (foot soldiers) and other hangers on who accompanied her on her quest.